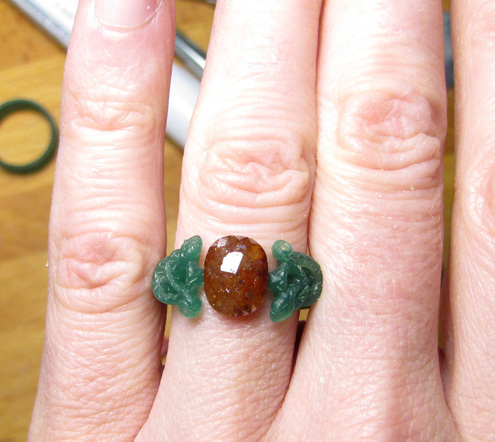 This ring is the result of a collaboration with the lovely Shan Adams! 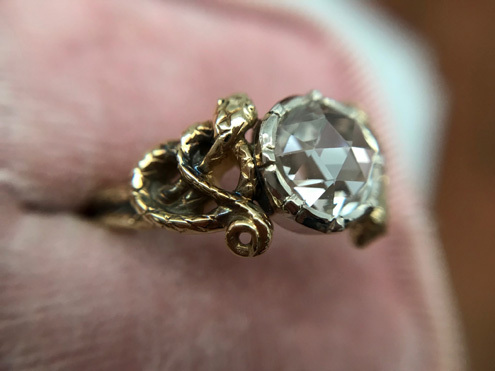 The design is a reproduction of an antique Victorian double-snake ring, and the one pictured is the first we made using a client’s gorgeous rose-cut diamond. I carved the shank part of the ring & Shan, who specializes in Georgian-style cut-down collet settings, does the mounting. We can make these custom with your choice of stone & metal; just send me an email (cheyenneweil@gmail.com) and I’ll get you the details. More pics after the click! 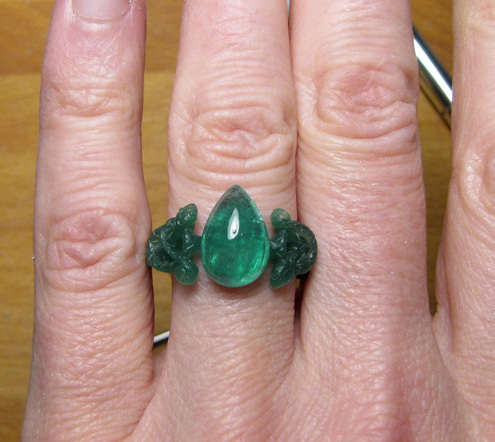 Just an emerald I have lying around (la di dah).. 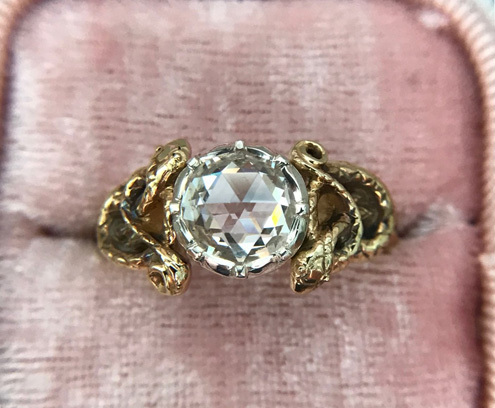 I think it would work quite well in this ring! Or this one: a cool orangy-red rose-cut diamond! This would look pretty great in a nice saturated 18K yellow. This entry was posted on Friday, September 14th, 2018 at 8:46 am	and is filed under New work, Rings. You can follow any responses to this entry through the RSS 2.0 feed. You can leave a response, or trackback from your own site.